How Could Releasing More Mosquitoes Help Fight Zika? It doesn’t take long for that tiny infant to turn into an exploring toddler who wants to learn about the world around him first hand. This means that they are going to crawl into, over, and around any object they can. Having a safe place where your child can explore and have fun is something that all parents want. Swing sets for toddlers can offer your child a variety of activities that he will enjoy and allow you to feel that your child is safe while exploring. However, you need to choose these toddler swing sets wisely as they are not all as safe as you might think. Plastic swing sets for toddlers usually offer more safety than do wooden or metal swing sets. Wooden swing sets can cause splinters and often have sharp corners that should your child fall, can cause serious injuries. Metal swing sets on the other hand often get hot and burn small children and they can rust causing cuts and other small injuries. Keep in mind however, that even plastic swing sets may get hot if they are placed in a completely unshaded area. It is therefore recommended that you provide some sort of shade for your toddlers swing set. Slides and ladders to climbing towers should have sturdy handrails for your child to hold onto and forts and towers themselves should have waist high walls (even if they are only inches off the ground) to keep toddlers from accidentally taking a tumble. While most 3 and 4 year olds can usually use those hard plastic U shaped swings, smaller toddlers should have swings with back support and actual seats with safety harnesses. In addition, for younger toddlers the seats of the swings should be high enough off the ground that they are unable to climb onto the swings on their own. Toddler swings are just that, swings that are designed for babies and toddlers that can be attached to a sturdy tree branch, or even a swing set designed for an older child. While most children do enjoy these swings, it limits their exploring the world to one activity. There really aren’t many complete swing sets designed just for toddlers. However, there are two toddler swing sets that have earned high ratings from parents. These are the One step ahead and Step two swing sets for toddlers. The One step ahead swing set offers a complete play area for toddlers. It consists of a built in ball pit, a swing and a slide. This swing set has sturdy handrails on the slide ladder, a bucket seat with a safety belt for the swing and a fun ball pit where kids can have fun. It can be inside or out and provide your child with hours of fun. The Step2 swing sets seem to be designed for older toddlers as their swings are sturdy plastic but, are U shaped which really isn’t safe for smaller toddlers (though you could substitute a toddler swing) However, the slide and tower are built for safety and toddlers ages 3-5 will have plenty of fun with this swing set. When choosing swing sets for toddlers please take the time to read the reviews as these will point out any unforeseen dangers or problems you should be aware of. Important note, When your children play in the garden or swing in the ropes, then you should also keep an eye on the insects(like mosquitoes, beetle, flies) that do not harm them. Because insects are very dangerous for children. They can cause your baby to die. So be careful take an effective step now. We suggest you, bring a bug zapper for your garden. Bug zapper is highly recommending for killing garden insects. You can also use it for indoor. https://bugzapperreview.com/ Here you can see full review about bug zapper . Thinking to arrange a pest inspection? Houses are at times in a region where subterranean termites are a frequent problem. Several suburbs relatively have plenty of trees and the presence of termites in the area could be the price the homeowners have to pay for residing in such a lovely suburb. How often must you arrange for a pest inspection? Homeowners must acquire a termite report at least once annually. However, in areas where termites are recognized to be highly infesting, twice a year is suggested or necessary. For commercial locations, pests such as cockroaches, rodents as well as ants might require quarterly or even monthly inspections or treatments. If you reside in an area where there are plenty of trees or houses near you and have experienced a termite invasion, then twice a year termite inspections might also be more required. On the other hand, weather could also be a factor in how often termite inspections must be implemented. Regions that tend to be warmer may have a more huge termite problem than those areas where temperature is cooler. Termites may be small but have a big appetite for wood and dwell in colonies that could multiply by hundreds of thousands or even millions of termites. It is not difficult to realize that when their natural food source in the suburbs is within limits, they may go to the next best things which are the fences, gardens, wood structures adjacent to houses such as custom sheds and wood piles among others. Primarily, a termite inspection entails a termite expert working on your house and checking a number of areas including the roof, interior, sub-floor, as well as the exterior portions of the house including the garden. The termite inspector must thoroughly check all areas that could be accessed and give a complete written report. The report must tell if termites are present or if there is an evidence of previous termite infestation. It must also give the homeowner information regarding termites and the things they could do to further guard their home from infestation. There is more to towing a boat than simply putting your boat on and hooking the trailer to your truck. The maintenance aspects of owning a boat with a trailer are essential to being able to safely enjoy the boat. One of the most important aspects is using correctly rated tires for the size and weight of the vessel. This usually happens when the old tires wear out, but in some cases you may be building a trailer from scratch and you will have to choose components accordingly. They may look the same, but car wheels and tires are not the same as boat trailer wheels and tires. Trailer tires are designed specifically to be able to handle loads over a long stretch of road. They are designed to handle the abuse of having to carry all that weight for long periods of time. It is essential that you properly research the market for quality tires for your boat trailer before you go out and buy. A good idea is to find reviews about them to find out what other boaters have to say about particular models. It is fairly safe to say however, that big brand tires are likely better than low-budget no name brand tires. These bigger companies usually have better research and development budgets to churn out better product overall. Looking at these brand name tires is the best place to start. Some known names in trailer tires are Goodyear and Carlisle but even smaller more “boutique” brand such as Maxxis are making a good name for themselves these days. Make sure that your family camping trips are not ruined just because you bought poor quality boat trailer tires. “There is about 1,000 mosquitoes in every one of these strands,” says Guilherme Trivellato, that operates for Oxitec, a biotech firm that owns the van. All together, you’ll find over 300,000 mosquitoes swarming within these baskets.”That is how many we are going to release now,” he states. 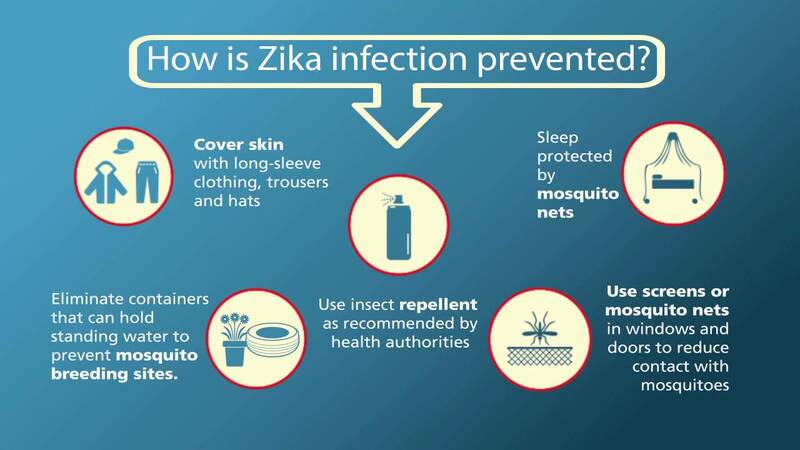 And today Brazil is combating an outbreak of Zika, which can be spread by the exact species of mosquito. 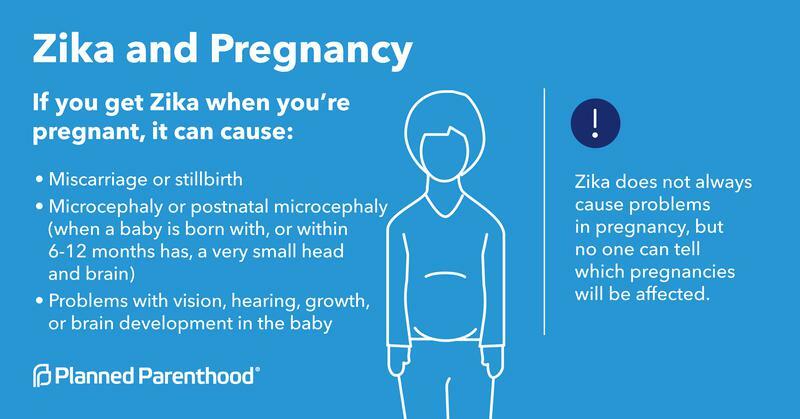 Doctors believe Zika might be inducing microcephaly, a condition that leaves infants with abnormally tiny heads and damaged brains, in addition to other birth defects and also a neurological condition called Guillain-Barre syndrome. However, the mosquitoes at the van are not only any mosquitoes. 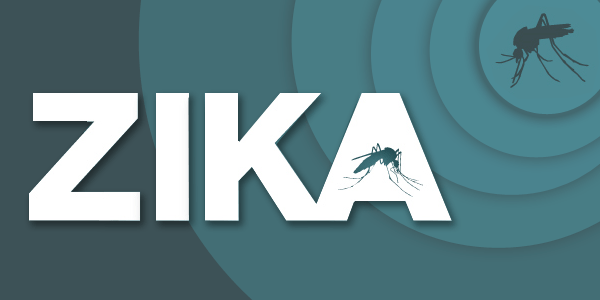 They are genetically designed to help avoid the spread of Zika along with another viruses. Mosquitoes: If We Just Wipe Them Out? “That is the thought — to prevent any diseases which are transmitted from these particular mosquitoes,” Trivellato states. To start with, the mosquitoes from Trivellato’s van are all men, which do not bite and therefore can not transmit diseases. But more significant, they’re designed to take a type of self-destruct gene — a gene which induces them to quickly die together with all of their progeny.”Each of the hens will die before they attain adult stage,” so they will not be capable of spreading disorder, Trivellato states. Since the van pulls out into traffic, he starts a program on a tablet computer that beeps when it is time to open every bud and push it into a major tube sticking out a side window.”Now they’re going to fly around searching for the females,” he states.The notion is that if a lot of those males mate with crazy Aedes aegypti mosquitoes, the people will plummet. Oxitec asserts the mosquitoes have managed to curb the wild population by over 80 percent in 1 part of Piracicaba. It is a place the size of approximately 56 soccer fields where over 5,000 people reside.Depending on the outcome, the business needs the Brazilian authorities to contemplating letting Oxitec discharge its mosquitoes more broadly. The releases could allow a different species of mosquito which may transmit the very same ailments, Aedes aldopictus, to proliferate, critics say. Another concern is that the engineered mosquitoes can somehow endure and become much better disease-transmitters themselves, they state. Some assert that there are other new methods that seem more promising for controlling mosquitoes. Other scientists have been experimenting with mosquitoes infected with germs known as wolbachia, by way of instance, which also suppress the wild inhabitants. Others are attempting mosquitoes exposed to radiation to perform exactly the exact same thing. The organization asserts that the genetically engineered mosquitoes are superior to the choices, which its own extensive testing in Brazil and elsewhere has shown that there’s not any evidence they live in the wild, cause any injury to the environment or instantaneous any other disease-transmitting mosquitoes to proliferate. “It is environmentally friendly. It doesn’t have any impact on some other species,” Trivellato states.A casual survey of a couple of inhabitants in the region where the mosquitoes have been published in Piracicaba found combined response. Some inhabitants share Ferraz’s anxieties. Others are thankful that the parasites are being published.Elder Santin, a chemist at a nearby newspaper company, says he’s a grandson who had been hospitalized due to dengue and a daughter-in-law who is pregnant, making him worry about Zika. “People think, ‘Oh, I do not have a pregnant individual in the household.’ However, after you’ve got a pregnant individual in the household it is a massive worry,” he states.”Ordinarily, when you have pests on your home the first thing which you do is spray insecticide. However, not in this circumstance. You do not pulverize them. “So it is bizarre due to that.”Oxitec’s mosquito manufacturing facility in Campinas generates thousands of those genetically engineered insects each week. Countless genetically engineered female Aedes aegypti mosquitoes have been stored in canvas and plastic pliers, in which they mate with men to create eggs. The eggs have been hatched in trays comprising fish foods to nourish them and tetracycline. Doctors utilize strainers to different the immature independently engineered males from the females — men are smaller and float through the strainers towards the surface. They are then put on these plastic containers to appear as flying insects such as discharge. Technicians frequently sample the immature pests to be certain no females are inadvertently being published. Additionally, they routinely analyze mosquitoes recorded in the area to estimate the effect of the releases. They do this by searching for a fluorescent gene that the mosquitoes were also designed to take. Oxitec intends to start a larger mosquito breeding center in Piracicaba to enlarge its own mosquito reduction program to the whole town of over 60,000 inhabitants. Author lifescrossingsPosted on December 29, 2017 February 20, 2018 Categories Tips & TricksLeave a comment on How Could Releasing More Mosquitoes Help Fight Zika? I’ve had this post in my drafts for a couple of weeks now as I just haven’t been sure enough how I feel about them. Truth be told I’m still not 100% but I think that in itself says something, doesn’t it? For a low cost brand such as Essence I usually expect to love a product and be bowled over at the value for money or really dislike it and assume ‘you get what you pay for’ with that range. Neither of these items massively impressed me but they’re good enough at what they do if you’re looking for some new low cost options. Both mascara and liquid liner are products I struggle to find and like no matter the cost. This liner has a nice, flexible brush with no loose strands or jagged edges (sounds picky but you’d be surprised what makes a difference here) and the colour is a good solid black. Not at all watery which is great but it dries super fast and it can flake if you’re not careful.. I’m a face toucher! The mascara was initially a big win, as I was applying it I really liked that it was lengthening AND volumising BUT on the second coat it clumped all of my lashes together.. the after photo you see above was more the result of a lash comb I had to use to seperate them again. Not ideal for a review photo, I know but I was getting ready for work and didn’t want to have to start over if I let it set! I’d say it would be more suitable to those with already long lashes who want a bit of oomph.. one coat and no more would be my advice! really like the mascara packaging, the rubbery design on the lid is cute as is the hourglass shape to the tube. The liquid ink is slightly less showy but it does the job and doesn’t NEED to be fancy. One thing I really liked was that they offered both a matte and a shiney finish liner.. I much prefer matte but I know not everyone does and I’ve never seen another drugstore brand cater for both. I haven’t tried the other yet, it might have better staying power but if you have feel free to comment with your own experience! Overall neither were anything to write home about but both were good enough and especially on the mascara front it’s not a once size fits all product so although I didn’t love it you might. There are some places that you can rent camping gear from while you are staying on their resort. There are also places that will let you rent things like tents so you can do the weekend warrior thing and take your family camping without having to worry about where you are going to store your tent at home. This idea is great for people that don’t have the room in their home to store camping gear, or they don’t have the money to purchase new camping gear for a couple days a year out in the woods. You can look online for a place that you can rent camping gear from, or you might be able to find a place in your local phone book if you live in a larger town. Some rental companies will offer a few items the camper in you could use, but you will need to find a specialty outdoors store in order to find everything you need to go camping with. Saving money on your camping gear is a good thing once you consider that you don’t have to worry about storing it or repairing it when it breaks. Being able to rent camping gear will also allow you and your family to have more fun while out in the woods. You might even be able to spend an extra night or two if you end up saving enough money. You know your family would love the fact that you saved enough money by renting your gear and were able to spend more time out in nature fishing and telling stories by the campfire at night. Nothing is better than having quality time with your family out in the wilderness where you can see all the stars in the sky glistening overhead at night. Being able to rent some of your camping gear may do just that. There are plenty of ways that you can find good used camping gear if you don’t have, or want to spend, the money on new gear. Doing a quick search of the internet will probably give you thousands of sites that are offering good conditioned previously used camping gear at a price that you can afford. There are also local military supply stores that can offer some good camping gear that has been gently used, if you don’t mind olive green everything. Just remember that this gear has been used before and you should check it for defects before purchasing it. When you consider purchasing used camping gear, you need to make sure that it is in the best possible working condition available. You don’t want to get out in the woods and find out the tent you are putting up has a large rip in the middle of the top. You should also wash and sanitize anything that has to do with bedding when you get it home. This includes things like sleeping bags and air mattresses. You will also need to check lines and valves on any kind of propane ovens that you might have purchased just to be safe. Also, need to keep in mind about mountain insects. They are very dangerous for human. So need a portable bug zapper when we camp on the mountain. This safety gear will protect you from all the insects. Purchasing used camping gear can be a great thing if you take the time to go over every piece that you are buying. You can actually save quite a lot of money by purchasing used gear and spend that money on your trip so that you can spend an extra day or two out in the woods. In fact, you can end up doing more than one camping trip a month if you are saving a lot of money by purchasing used gear instead of one camping trip a year when you purchase everything brand new and of the latest advancements, too. Better tips Better life Create a free website or blog at WordPress.com.